Sandwich bags are more often than not transparent in nature, where it looks that way so that you know what is inside, not to mention to make sure that there are no wayward insects like a roach that has sneaked in while you were not looking. Well, with the $4.99 Goldfish Sandwich Bags, it might raise some eyebrows for sure the first time they set their eyes on it. 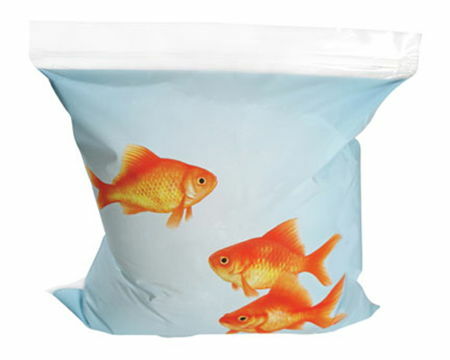 It will definitely draw attention when you take this out, and who knows, it might just fool others into thinking that you actually have a bag of goldfish (from afar, that is, since these printed goldfish do not swim) instead of a delicious sandwich inside that you are simply not willing to share with others.